Players sometimes encounter issues with the client which can be easily fixed by a few simple steps. Typically 95% of all issues can be fixed by doing the above things. Specific instances are located below. If you continue to have issues, please reach out to me on Discord. "Ultima Online Client has stopped working." This error happens most often with Steam. Try changing the Patcher/Steam compatibility to Windows 8. * note - this will delete your ingame character macros, so make a backup before you delete. In some instances, character profiles need to be deleted. 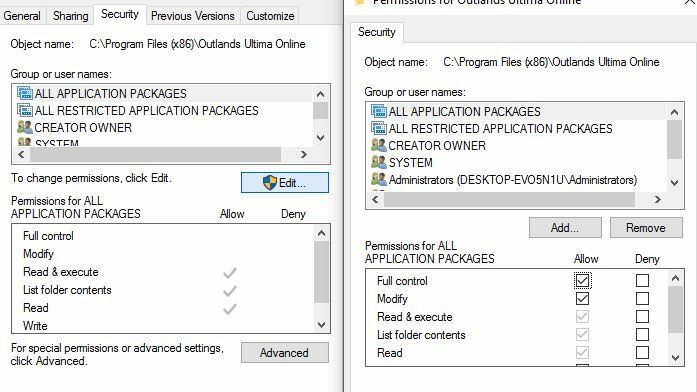 Navigate to: C:\Users\user\Documents\EA Games\Ultima Online Legacy\User Data - or however your file path is setup. Delete the folder associated with the character that is crashing. Try again with Steam, running as Administrator. "Steam throws a map1.mul error!" Outlands does not use map1.mul, therefor this is an inconsequential error (not game altering) related to your computers Virtual Memory and Steam's loading protocol. Steam requires 2GB of free Virtual Memory to load, so you may notice you don't get this error after you reboot your computer. Simply click "OK" and login as normal. "I freeze at the entering Brittania screen!" "I freeze when I maximize the game window!" "The patcher stops at: Portal: None"
"I crash when I die!" Clean out your Razor or Steam screenshots folder, and turn off "Take Screenshot on Death" options. "I can't see the new map/art/animations!" Run the patcher. Click VERIFY top left if necessary. "How do I make my game window larger?" 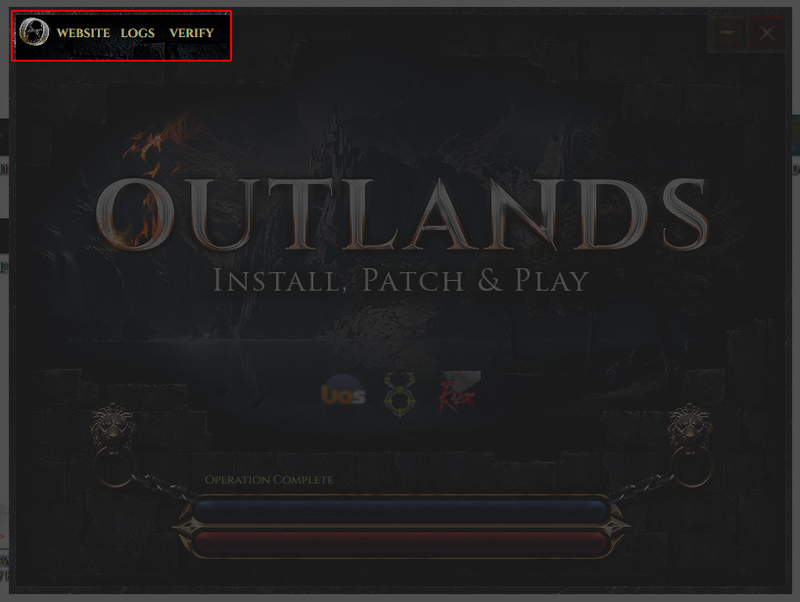 Within the client, click OPTIONS, then the EYE (on the right), choose the Maximum Game Window size. Click LOGOUT, from your paperdoll. When you open Steam or Razor again, enter your preferred Resolution. Your chosen game window size should stick.